Houzz 4 of our visitors have told a friend about this plan. 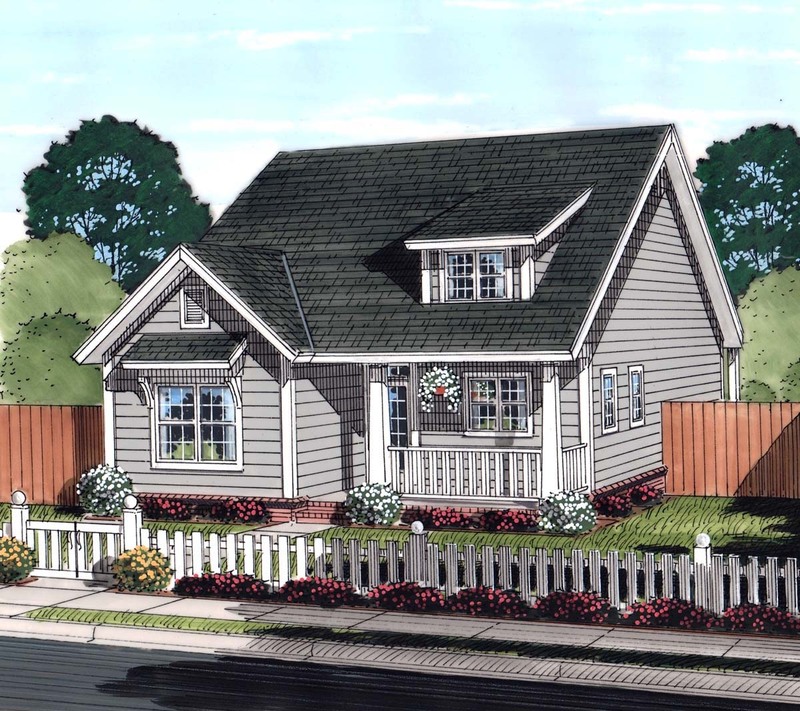 Each home plan features the front elevation and informative reference sections including general notes and design criteria. Drafted at ¼" scale for the front and 1/8" scale for the rear and sides. All elevations are detailed and an aerial view of the roof is provided, showing all hips, valleys, ridges and framing. Drafted at ¼" - 1' scale. 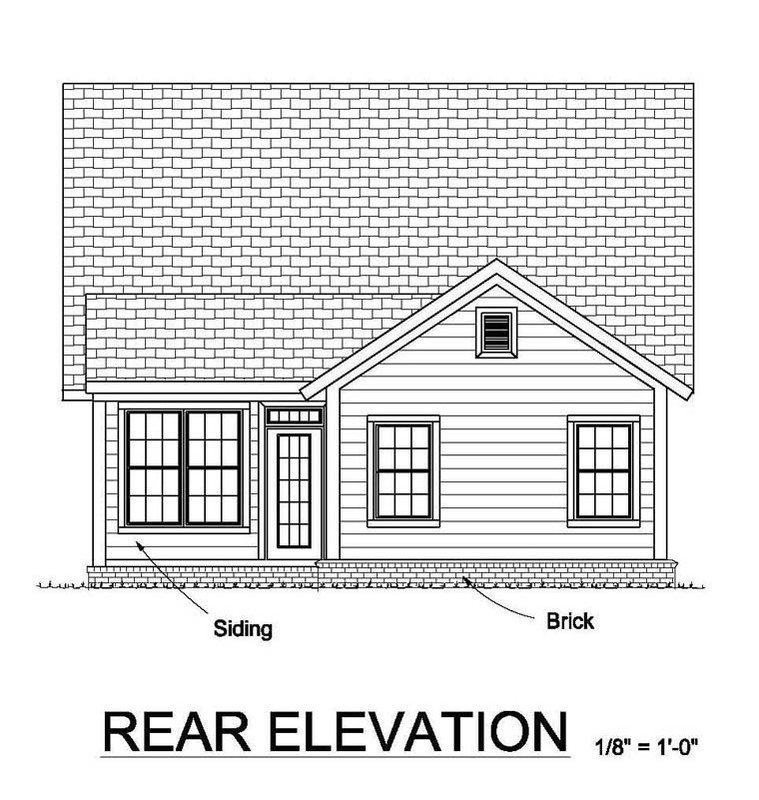 This plan is designed as a slab foundation. Optional basement or crawl space foundations are available. Basement foundations may require additional engineering for steel beam sizes. Drafted at ¼" scale. 2" x 4" walls are standard. The detailed drawings include such things as ceiling treatments and header locations. Drafted at ¼" scale. Drafted to the same degree of detail as the main level floor plan. Kitchen cabinet elevations are drawn. The electrical plan shows suggested electrical layout for the main and second level floor plans. Typical wall, stair, brick sections are provided to further explain construction of these areas. As the original purchaser of a home plan, the Construction License permits you to build the plan as many times as you like. If your plans are sent to you on vellum paper they will reproduce well on your blueprint machine. The Construction License authorizes you or your blueprint facility, at your direction, to make as many copes of the plan from the vellum masters as you need for construction purposes. Basement - * $150.00 Total Living Area may increase with Basement Foundation option - please call to confirm before ordering. Unlimited Build License issued on Reproducible Set, PDF File or CAD File orders, depending on availability.